We offer all the benefits of the famed diamond districts in cities 10-times the size, which may save you hundreds, or even thousands of dollars on loose diamonds. 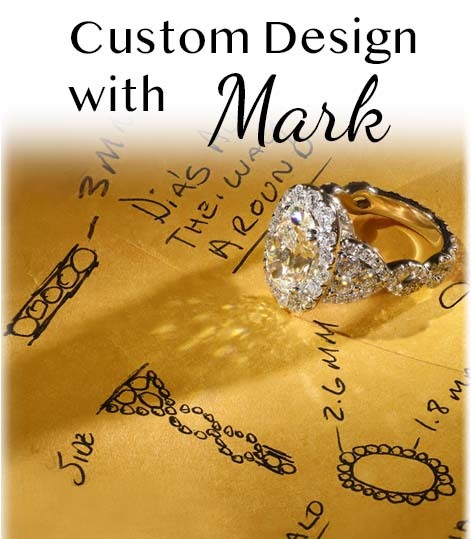 At Mark’s Diamonds, we want you to have an engagement ring you’re proud to propose with, without breaking the bank. That’s why we’ve stripped out the high overhead most Denver custom jewelers pass along to customers like you. Most custom jewelers in Denver travel to diamond markets around the world, purchasing from middlemen. Then, in addition to pricey storefronts, mark-ups are later built into the retail price to the customer. Mark’s Diamonds offices, in Cherry Creek North, deals directly with one of the largest and most trusted conflict-free diamond manufacturers in the world. In short, Mark’s Diamonds is the Denver Diamond District. When we say we carry more than 300 engagement ring settings, we’re not exaggerating. Our wide selection will assist you in finding the perfect setting without overwhelming you with too many choices at once. When we meet by appointment in our offices, we’ll spend time talking one-on-one about the type of diamond and ring you’re looking for, your soon-to-be-fiancé’s personal style, and the 4-C’s: Color, Clarity, Cut and Carat Weight. • Yellow Gold, Mixed Metal and Rose Gold Engagement Rings – We are seeing a re-emergence of both yellow and rose gold engagement ring settings. These warmer tones compliment a wide variety of skin tones and set off each diamond in a unique way. If you don’t know what metal your beloved prefers, do a little detective work to find out. 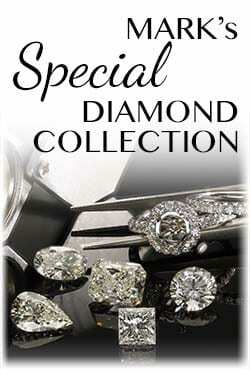 • Halo Engagement Rings – In a halo setting, several smaller diamonds surround the center stone. The halo can be any shape. For example, a round diamond can be surrounded by a round, rectangle, or even pear-shaped halo. We love this design for its versatility. • Modern Engagement Rings – Modern engagement rings often have clean, smooth lines. They can incorporate design features such as bezel settings, flat shank bands or scalloped pave, and anything else you might imagine. 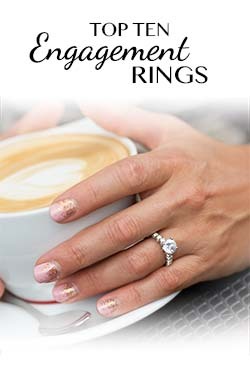 • Pave and Micro-Pave Engagement Rings – The options for pave and micro-pave designs are limitless. A pave band can add an even more lux feel to a halo setting, or provide a stunning backdrop to the simply elegance of a solitaire style setting. 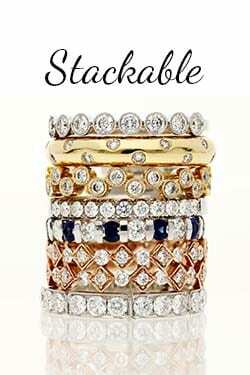 • Three-stone Engagement Rings – This popular style includes a larger center stone flanked by two smaller side stones. Many couples choose this style to add more weight and volume to an engagement ring. The three-stone ring is also a beautiful and meaningful anniversary gift, with the three stones representing your past, present and future together. • Antique-Style Engagement Rings – Whether your beloved fancies something with art deco flare, Victorian charm, or anything in between, we have the antique-style diamond engagement ring setting she will swoon over. • Gemstone Stone, Fancy Diamond Engagement Rings – Some of the most iconic engagement rings of all time are not white diamonds at all. Kate Middleton and Elizabeth Hurley sport sapphire sparklers, while Blake Lively’s love presented her with a pink diamond set in rose gold, and hockey player Mike Fisher popped the question with a 5 carat canary yellow sizzler to country singer Carrie Underwood. • Heritage Engagement Rings – For some lucky people, a diamond beautiful enough to re-set and reclaim is passed down through the family. Working with a diamond with this kind of history and love behind it is an absolute pleasure for us. We will help you find or design a custom engagement ring setting worthy of generations to come. Whether you have in mind a classic Tiffany-style solitaire, a rose gold halo setting, or a custom engagement ring as exquisitely unique as your beloved, the most trusted custom jeweler Denver is here to help. Mark is amazing! His entire staff is welcoming and helpful! We are always treated well and give Marks Diamonds our highest recommendation.Now to the product! Fabulous! They always have a great variety and quality to choose from! I love my wedding/engagement ring/band. I get constant compliments from it and I’ve had it for almost five years now!Thank you to Mark and staff for treating us like royalty. This was and continues to be a very pleasant experience. Mark, Bobby, and the rest of the staff are so kind and helpful. I went in expecting to just check out a few engagement rings and to look around at other locations; however, I walked in and was sold right away on what I wanted. Mark made it very simple for me, and he takes care of all of it for you!I highly recommend supporting this business and it's workers! Working with Mark, Bobby, and the rest of the crew at Mark’s Diamonds was nothing short of a fantastic experience. Their knowledge, pricing, and customer service is some of the best I have ever experienced.I have never written a google review until now and no one deserves it more than Mark’s Diamonds. If I could rate higher I would. I would recommend any one to work with them. My fiancé and myself couldn’t be happier with the ring! A+! Mark's Diamonds was a referral from a referral, which should tell you what you need to know. While the pricing is more than fair, the customer experience is why you really shop here. They are incredibly knowledgeable and have a fantastic selection of unique and one of a kind pieces. There is no pressure from the staff, instead their primary concern is to ensure that when you walk out you are elated with your purchase.They also have the ability to take any design or idea that you would like to create and have it custom made.We will never buy jewelery anywhere else!!! Couldn't recommend highly enough. Great staff that will truly take care of you. Was able to buy my fiance her dream ring and Mark and his team were able to pull off a miracle last minute order request to meet my proposal plans!I did not receive the individualized treatment anywhere else I shopped. Great value and amazing quality. Mark's Diamonds team make memories last forever.My husband recently died and I had an idea for his wedding ring that I needed professional jewelers to realize. I wanted to combine my husband's and my own yellow gold wedding rings together, add silver on the outside, for a two-tone look, and then add an Art Deco design to the "One ring to rule them all". I met with Bobby and Tim. First, Bobby was very gracious and sympathetic to my new grief riffled life and situation. He listened intently and proceeded to introduced me to Tim, their Master Jeweler, to present my idea to him and come up with a game plan. Tim, also gracious and kind, took my idea and made it better. Instead of silver, which is soft, he chose white gold. He then rolled out our rings and made them one, hand-hammering it into shape. If I understand the next step, he took a white gold ring, subtracted from the underside of that ring and added our yellow gold to make it two-tone. He ended up injuring himself in the process. So my final ring was made with blood, sweat, and tears. He is healing up nicely. Tim then sent it to their professional experienced engraver artist to add the Art Deco design I mentioned. The final result blew my mind and I am ecstatic and so very thankful for this ring, for their kindness, artistry, and craftsmanship - for the forever memory they helped me keep. If you need any jewelry, custom or no, you need to visit these wonderful artists. Thank you from the entirety of my heart! We had a wonderful experience with Mark's Diamonds, being out-of-State, we were so surprised with how fast they were! The ring is so incredibly beautiful, and they crafted a special matching band. I couldn't believe how identical he made the band.We're so happy with the ring, and we would definitely recommend going there. Very fast service, super accommodating, and gorgeous quality. What a wonderful experience. Mark added two beautiful bands to my engagement ring and it really took my ring to another level! Not only was his turn around time fantastic, but after getting the bands he messages me pictures and made a new suggestion before finishing the ring and it looks so, so much better than it would have had he done what I originally thought I wanted. It's so gorgeous.After working with him, I found out that last year he actually donated a very, very large amount of fine jewelry to the nonprofit I work for to be auctioned off on behalf of abused and neglected children. 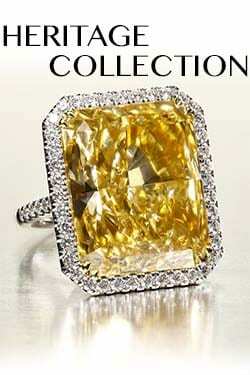 Amazing jeweler AND philanthropist? Yes please! Thank you so much, Marks Diamonds!